You don't have to suffer from tooth decay. There are many restorative dentistry treatments available to repair the damage caused by tooth decay. Albuquerque dentist Byron W. Wall specializes in cosmetically appealing restorative dentistry treatments to correct dental damage and improve both dental function and appearance. Schedule a consultation with Dr. Wall to find out which of the following treatments are right for you. Tooth-colored fillings offer a great alternative to traditional metal fillings. 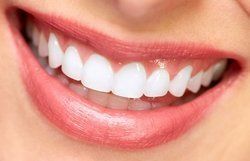 Tooth-colored fillings are made of porcelain or composite resin, both of which are custom shaded to match the surrounding teeth. The composite resin is directly applied to the teeth for proper shaping. Once the desired appearance is achieved, the resin is hardened through a curing process, reshaped, and finished with a polishing. Not only are tooth-colored fillings more cosmetically pleasing than metal fillings, they're also safer. Silver fillings expand and contract when exposed to temperature fluctuations. This expansion and contraction puts pressure on the tooth, leading to cracks and further damage. The porcelain and composite resin used to make tooth-colored fillings does not expand or contract like silver fillings, making them much safer for the teeth. Porcelain dental crowns are a type of dental restoration used to improve the function and appearance of damaged teeth. A dental crown is basically a hollow, artificial tooth. It fits over a damaged tooth to provide a layer of protection. Dental crowns may become necessary when a tooth is severely damaged or weakened by a large dental filling. Dental crowns can also save damaged teeth from requiring extraction. Inlays and onlays are useful for treating decay occurring on the biting surfaces of the back teeth. This is because inlays are specifically used for repairing decay within the cusps of the molars. Onlays are used when damaged extends beyond one or more cusps, which may include the side of the molar. Onlays are also known as partial crowns since they can be used to treat teeth too damaged for dental fillings but not damaged enough for a full crown. Both inlays and onlays are tooth-colored and custom-made for the perfect fit and blend with the surrounding teeth. Sometimes dental decay extends to the root canal, creating an infection of the nerve and pulp tissues within the root canal. Root canal infections are often painful and, if left untreated, can lead to tooth extraction. Root canal therapy is effective in treating root canal infections and may be performed in combination with any of the above treatments. Porcelain veneers are ideal for treating minor tooth decay in the front facing teeth. Porcelain veneers are custom-crafted, thin, tooth-shaped wafers. The veneer is bonded to the front surface of the tooth to correct dental shape, size, and overall appearance. If left untreated, tooth decay can lead to painful infections, the inability to comfortably eat, and even tooth loss. Don't let tooth decay go untreated. Schedule a consultation with Dr. Wall today!